I saw this on facebook the other day and laughed and laughed and laughed because we tend to say that a lot down here. Now - if you are from the north - please don't get offended - it's not meant rude. It's just that there really is a difference in people and customs in different parts of the country. 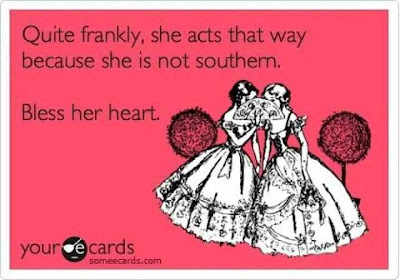 (y'all who live outside the south might say this in reverse about a southern neighbor - to explain why she is so different)! I LOVE that people are different in different regions of this nation. It's what makes America great. If we were all the same - how boring would that be? It's why visiting different areas and states is fun. One of my most favorite posts I ever did was a few years ago when I discovered some people didn't know what Okra or Rotel was and I nearly died and then I asked and found out some of y'all eat all kinds of foods I had never heard of. I discussed that HERE. I do things that are normal to me. And I always thinks it's so funny and a little fascinating when I get emails or comments asking me about things because apparently not everyone in the USA does it that way. Like I had no idea saying "I had my picture made" was weird. That's what I have always said but others say "I had my picture taken?" 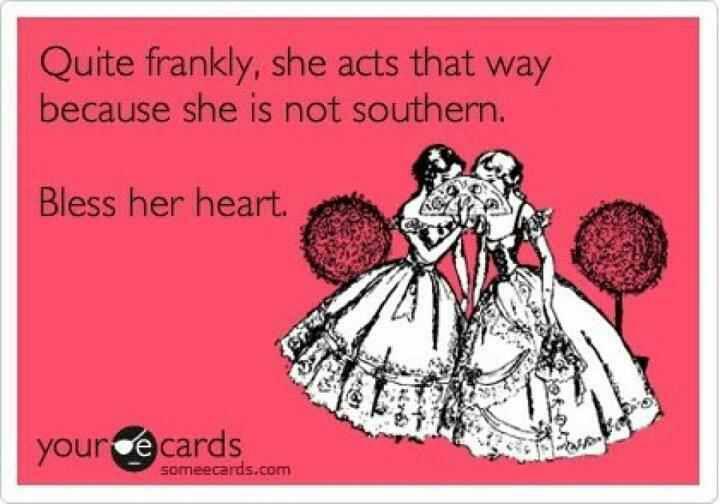 Or I got asked last week if dressing your children alike was a Southern thing. I'm trying to think of other examples. It always cracks me up. I think the thing to remember is just because people do things differently or say things differently or eat differently than you do - they aren't WRONG. We need to embrace and enjoy the differences. I may not dress my children the way you do - but that doesn't mean it's weird or odd. And oh my - every state in the South is different and parts of each state are different from one another. And I love that! I'd love to know if you maybe moved away to a different part of the country from where you grew up and noticed things that were different (i.e. moved from GA to MI or from WA to MS) - what were those differences? I get tickled hearing how things are different - everything from birthday parties to showers to food to styles of clothes to sayings of an area.